With consistency on a weekly basis, along with some history in the process, Gary Elliott was impressive en route to a fifth place finish in the OSCAAR Modified standings. 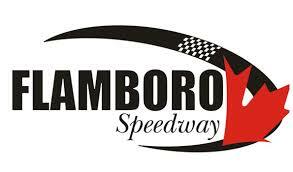 Kicking off the season at Flamboro in May, Elliott posted a solid sixth despite having to make an early pit stop due to a cut tire in the opening laps. He was able to carry the consistency forward, scoring a solid 10th a week later at Kawartha Speedway. Returning to Flamboro in June, he scored his first heat victory of the season, before placing fourth in the 30-lap feature. An even stronger run followed a couple weeks later at Sauble Speedway with a runner-up performance. Going to tracks for a second time seemed to work in Elliott’s favor as his second appearance at Kawartha in 2017 saw him improve upon his June finish with a sixth this time around. He then rounded out the month of July with another heat win, followed by leading laps in the feature en route to a fourth. He would start off August at Peterborough Speedway, continuing the momentum with a solid sixth-place finish. The next race, though, he missed due to running the full Pro Late Model schedule at Flamboro. He would get Rob Di Venanzo to drive the No. 36 Modified, which saw him put together an impressive third-place finish. Elliott returned to the driver’s seat at Sunset Speedway’s Velocity 250, starting 23rd (tail of the field) after missing Saturday’s qualifying heats. He put together one of his best drives of the entire season, working his way through the field patiently to finish ninth. Come Frostoberfest a week later at Flamboro, he ran his pro late model, once again handing driving duties over to Di Venanzo. This time, it did not go as planned, as a couple spins by Di Venanzo resulted in an 11th-place finish. Elliott would run the season finale at Peterborough, coming back from a spin with 20 laps to go to place fourth. The Autumn Colours Classic marked a bigger milestone for the veteran, though, as it was his 800th consecutive start as Elliott hasn’t missed a night on his schedule dating back to June 1987, as he embarked on his 44th season of competition. On behalf of OSCAAR, congratulations to Gary Elliott not only on his success this season, but also hitting the career milestone. We look forward to seeing you once again on-track in 2018.